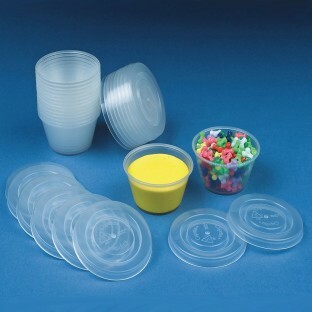 Clear plastic cups with lids. A great mess-free and cost effective way to distribute paint, glue and small beads to groups. Can also be used to store small craft trims. Holds 2 oz. Pack of 25 sets.